Author(s) Hamilton, Alexander; Holloway, Carson; Wilson, Bradford P.
Few of America's founders influenced its political system more than Alexander Hamilton. He played a leading role in writing and ratifying the Constitution, was de facto leader of one of America's first two political parties, and was influential in interpreting the scope of the national government's constitutional powers. 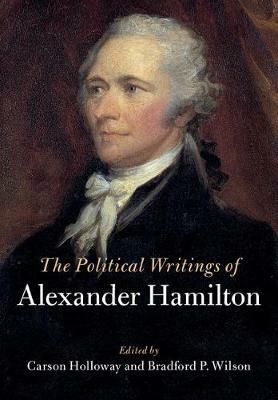 This comprehensive collection provides Hamilton's most enduringly important political writings, covering his entire public career, from 1775 to his death in 1804. Readers are introduced to Hamilton - in his own words - as defender of the American cause, as an early proponent of a stronger national government, as a founder and protector of the American Constitution, as the nation's first secretary of the treasury, as President George Washington's trusted foreign policy advisor, and as a leader of the Federalist Party. Presented in a convenient two volume set, this book provides a unique insight into the political ideas of one of America's leading founders; a must-have reference source.